To make a better world –to make our life blessed –to fulfill oneself, –to make free our society from inhuman activities, –to make conscious about oneself and about our aim of life, we have an excellent – incomparable system of essential education for true & universal development of human beings. All these educations –teachings –knowledge and methods is present in ‘MahaVad’. ‘MahaVad’ (book) is your acquaintance with your own reality. MahaVad is the science of self-knowledge –self-development and an excellent cosmogony of the present time, –the great doctrine and Teachings of the modern times. ‘MahaVad’ is the true spiritual science with spiritual psychology. ‘MahaVad’ is a wonderful experience of inner truth and the way of better life. 'MahaVad' is the essential true & universal self-development education for everyone. ‘MahaVad’ is the mine book of true spiritual knowledge, and true universal self-developme program. The veil of mysterious spiritual world has been uncovered in this extraordinary book. ‘MahaVad’ –taught and originated by MahaManas, –the great sage of the modern age. To know about ‘MahaVad’, ‘MahaDharma’, and 'MahaManan', please search through ‘Google’ and visit websites. 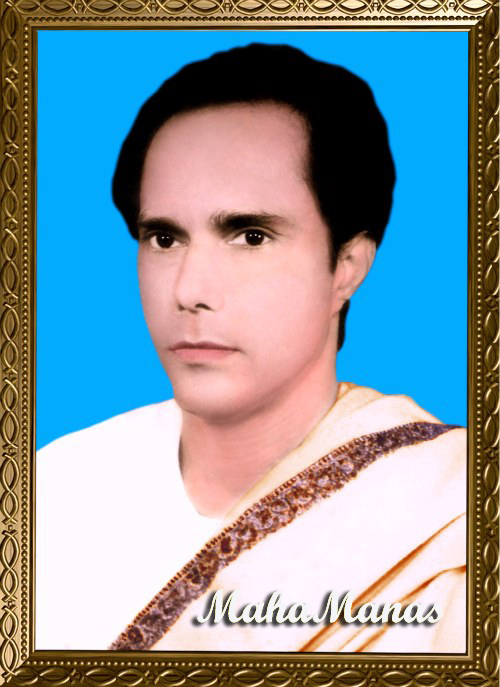 To solve most of the problems of our life, to make a better world –to make our life blessed –to fulfill oneself, –to make free our society from inhuman activities, –to make conscious about oneself and about our aim of life, we have an extraordinary book (manuscript, now it is ready to publish) written in Bengali. The name of this book is ‘MahaVad’. Before publishing, it is very popular in Internet world. To know about it, please search through Google= MahaVad / MahaManan / MahaDharma / MahaManas. Visit= Link & Link & Link & Link If you are interested in publishing, as a printed book in different languages and/or serially in your news paper/magazine, please contact me as soon as possible. For other languages, it needs to be translated by publisher. Besides it, we have an excellent human development / self-development education program with ‘Maha-Yoga’ education. This extraordinary incomparable system of essential education for true and universal self-development is suitable for Film and TV serial. It is very popular in Internet world. ‘MahaVad’ is the way of better life; it is the science and education of true self-knowledge and universal self-development. MahaVad is the great doctrine of the modern times. On the base of ‘MahaVad’, there has been started growing a Human Development movement –worldwide. To make a better world –to make our life blessed –to fulfill oneself, –to make free our society from inhuman activities, –to make conscious about oneself and about our aim of life, we have an excellent – incomparable system of essential education for true & universal development of human beings. All these educations –teachings –knowledge and methods is present in ‘MahaVad’. Lac of consciousness –ignorance and illness are main causes of most distresses and problems. Science –technology –politics and widely practiced religions are not able to solve it. It can be solved by true spirituality with an excellent –incomparable system of essential education for true & universal self-development method of ‘MahaVad’. MahaVad is your acquaintance with your own reality. MahaVad is the science of self-knowledge –self-development and an excellent cosmogony of the present time, –the great doctrine and Teachings of the modern times. ‘MahaVad’ is the true spiritual science with spiritual psychology. ‘MahaVad’ is a wonderful experience of inner truth and the way of better life. 'MahaVad' is the essential true & universal self-development education for everyone The veil of mysterious spiritual world has been uncovered in this extraordinary book. 1. 'MahaVad' (book) needs to be published in different languages. 2. The excellent --incomparable, essential education for true & universal self-development needs to be broadcast as TV serial. 3. A Film may be released on the base of 'MahaVad'. It has a worldwide marketplace. Conscious people, those who want to develop their children rightly, with their own self, –are desirous to receive this education. In future, our certificate– ‘Developed Soul’ – ‘Enlightened Soul’ will be respected in the field of employment and in our society. We hope our Book and TV serial will be very popular and will help for publicity. 'Maha-Yoga' and 'Maha-Atma-Vikas -Yoga' are very interesting thing for most of the people. ‘MahaVad’ –the mine book of true spiritual knowledge, and true universal self-development program. It is very popular in Internet world. To know about it, please search through Google= MahaVad / MahaManan / MahaDharma / MahaManas. All Rights (Book) for Sale. Ask for TV & Film Rights. A confidentiality agreement can be arranged . The advertiser can hold a conversation in the following language(es): Bengali and Hindi. Page created at 2019-04-25 18:44:44, Patent Auction Time.